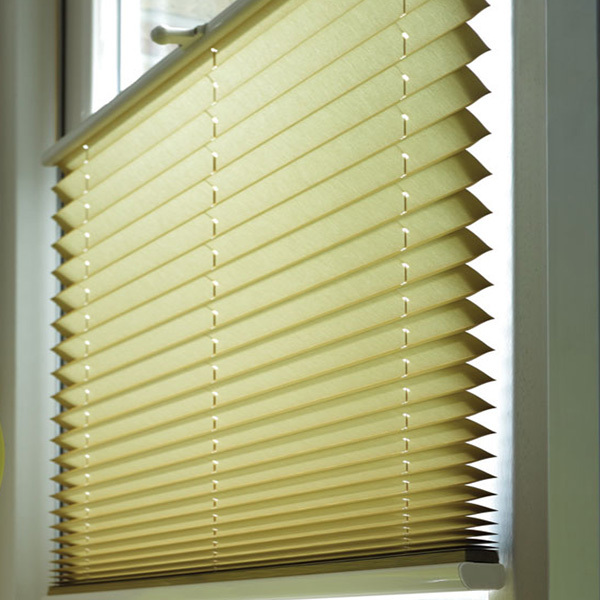 Alpha Blinds pleated blinds are made to measure to fit most windows, most shapes. From rectangular and square, to triangular and shaped. With their unique coating, the fabrics are ideals for conservatory roofs, reducing the heat and glare in the summer, and retaining the warmth in the winter. Available in an astounding range of colours and patterns, with solar reflective qualities as well as a range of blackout fabrics, Alpha Blinds pleated collection has something for everyone. A range of Duette fabrics are available in both non blackout and blackout choices.